For a short while I owned a Saab station wagon (too short for me; not short enough, saith my wife) that was, at the same time, the sweetest and the most frustrating ride I’ve ever had. Saab must have made a vow at some point in its history that its cars would never be propelled by any engine having more than four cylinders, no matter how large their cars became or how much power the car-buying public demanded. This was basically true even during GM’s ownership of Saab and its attempts to work a V-6 into the line. The result was that, as Saab’s competitors settled on the V-6 engine as the absolute minimum for a self-respecting near-luxury car, with a V-8 available as a common option, Saab’s self-imposed constraint forced it to become extremely clever about extracting the maximum from engines of smaller displacement. As you can imagine, Saab had to pay a high price in R&D costs, and Saab owners in problems with reliability. 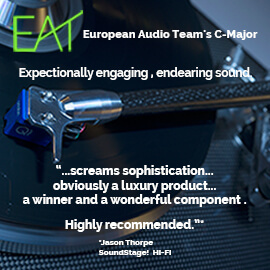 Such cleverness and self-imposed constraints were very much in my thoughts as I compared the recently reviewed Atlantic Technologies AT-1 with Elemental Designs’ top loudspeaker model, the EL8.3t. The designers of the AT-1 sought the imaging ability and domestic friendliness of a compact monitor, the midrange immediacy of optimized (smallish) woofers, and the crossover “purity” of a simple two-way design. This had all been done before, of course, but always with the allowance that the low-bass response would have to be sacrificed. What made the AT-1 remarkable was that all this was achieved by a speaker whose bass response got down to a solid 29Hz. As I said, clever. 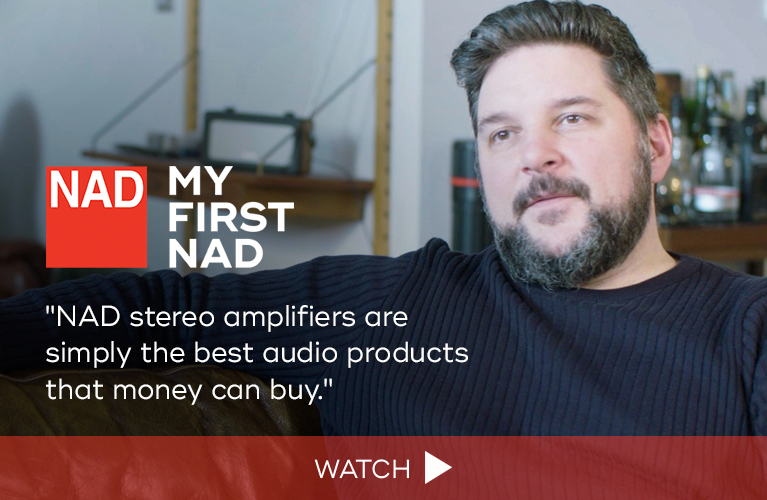 But as every speaker designer knows, there’s more than one way to skin a cat. For Elemental Designs, that meant pretty much relaxing such engineering constraints and allowing for a significantly larger three-way design incorporating two 8” woofers operating in a conventionally vented, bass-reflex cabinet. One could call this “old-school” in the same way an American small-block V-8 can match or better the performance of a turbocharged and intercooled European four. Either way, the destinations are the same, the routes very different. 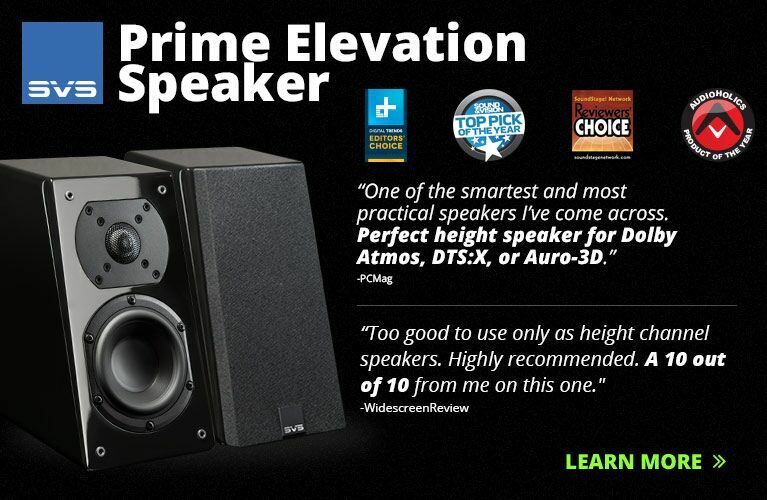 While there are bigger (and more expensive) floorstanding speakers on the market, the EL8.3t is on the larger side. 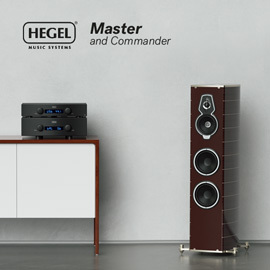 The pair of them, each measuring 49.75"H x 9.75"W x 12"D and weighing 71 pounds, made a big impression on my smallish listening room, although, to their credit, I never felt that my listening space was sonically overwhelmed. In fact, the flat-black review samples did a pretty good act of “disappearing,” sonically and visually, especially when the lights were low. That flat finish (also offered in white) is what you get for the base price of $2200 USD per pair. Bamboo veneer is available for an upcharge of $600/pair, but you don’t have to stop there. Elemental Designs contracts out their veneer work to a local shop that can pretty much deliver anything the customer wants, albeit at custom prices. 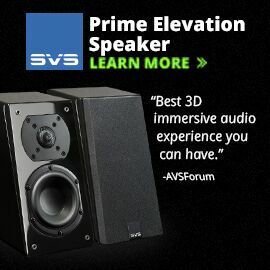 Although the overall fit’n’finish was quite good, I’d love to see these speakers in a real-wood veneer. Elemental Designs no longer builds its cabinets, veneered or not, of medium-density fiberboard (MDF), but rather of a material they call Environmentally Friendly Substrate (EFS), the main environmental benefit of which is that its manufacture doesn’t require the use of urea-formaldehyde, a substance now banned in some parts of the world. EFS is also said to cost two to three times as much as MDF. 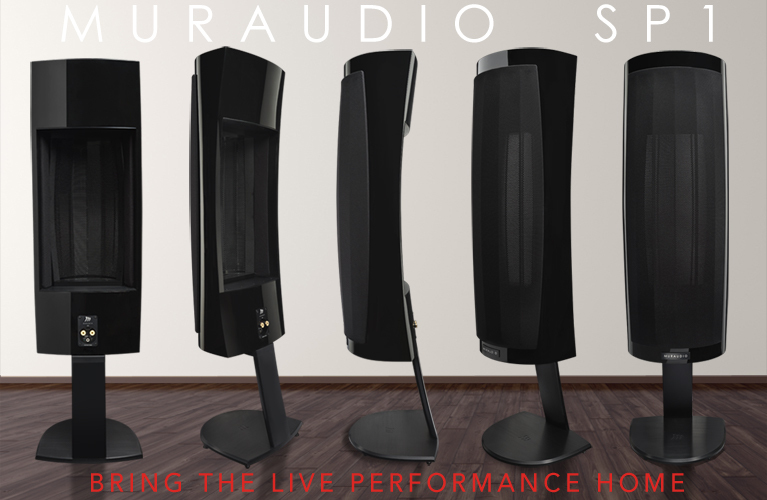 Elemental Designs also claims performance benefits from EFS: a smoother response curve, as well as an appreciable increase in the maximum sound-pressure level in the bass. You can read more about this and see the data at www.edesignaudio.com/pdf/EFS.pdf. The EL8.3t divides the audio signal among a 1.1” (28mm) silk-dome tweeter, a 3” (76.2mm) fabric-dome midrange, and two 7.9” (203mm) paper-fabric composite woofers. The woofers are separated from the sealed midrange and tweeter and vented by a fairly large (4” diameter) flared port. The two very businesslike five-way binding posts were a pleasure to use but discourage biwiring or biamping. Elemental Designs claims a very high sensitivity of 92dB, and a nominal impedance of 4 ohms. A minimum of 30Wpc of amplification is suggested to get the EL8.3t to sing. As brawny as it is, the speaker’s claimed frequency response is an unremarkable but completely respectable 40Hz-22kHz, ±3dB, which agrees with what I heard and measured in my room. Elemental Designs builds its cabinets and crossovers in Newton, Iowa; the drivers are sourced from outside vendors, and the speakers are sold direct from the factory. How do I know that the EL8.3t is built in the US? Well, I certainly didn’t learn it from the speakers themselves, which are adorned with no inscription whatsoever. Nor was Elemental Designs’ website helpful in this regard. Why the big secret? Seems like this would be a strong selling point these days. There is no owner’s manual, either in print or in cyberspace. As Elemental Designs’ ever-helpful Brett Bell explains it, the company likes to “stay on the paperless side of things,” and prefers to go through the setup process and answer any questions the customer may have “one on one.” Though I can’t help applauding such corporate responsiveness to customers, I still wished for a traditional manual, if only to avoid the embarrassment of asking stupid questions. The EL8.3ts were not difficult to position, and worked best in generally the same locations as my Snell EIIs: 8” from the front wall, 2’ from the sidewalls, and 75” apart. Though the grilles are easily removable and the speakers look pretty good unadorned, I felt that I got a slightly smoother response in the treble with the grilles on. My measured in-room response deviated +7 and -8dB from 32Hz to 10kHz; in this case a 50Hz dip, which I usually consider an artifact of a speaker’s interaction with the room, actually marked a downturn in the response curve below this point. This was confirmed in the listening. Overall, I thought the EL8.3ts had a pleasant overall balance, with a polite treble to upper midrange and slightly diffuse imaging. The bass was a little less extended than I would have expected from the size of the cabinets, but was of very high quality -- tight and pitch perfect -- which I’ll take any day over extended but loose. I initially had reservations about the tweeter, which fires about 6” above my ears when I sit down to listen. But the EL8.3t’s tweeter’s good dispersion characteristics rendered unnoticeable the effects, if any, of its height. The slight editorializing that makes for a polite sound worked a treat for difficult (read: flawed) recordings, such as Anonymous 4’s An English Ladymass (CD, Harmonia Mundi HMU 907080). I fully realize that this is a euphonic effect, but to my ears I’d rather have a little grace interjected here than in other parts of the audioband. And this slight effect in no way made good recordings sound dull or lifeless. From HDtracks.com I downloaded the 24-bit/96kHz release of Ella Fitzgerald and Louis Armstrong’s Ella and Louis in stunning, shimmering mono (24/96 FLAC, Verve/HDtracks). Here the EL8.3ts’ slightly diffuse imaging perhaps made for a fairly unconvincingly centered image of Fitzgerald, though Armstrong and his trumpet remained more front and center. While the EL8.3ts may have been polite, they did let through the kind of detail that reminds us what high fidelity is all about. It was easy to hear just how differently the two artists were recorded: Fitzgerald well away from her microphone, which itself had a sweeter voicing than that used for Armstrong, his mike also positioned much closer to his mouth. The result is that Fitzgerald sounds lovely (what else? ), but in soft focus -- an aural version of how they used to film close-ups of actresses in the golden age of movie making. Pops, on the other hand, is brought shockingly to life -- a testament, I suppose, not only to the hi-fi rig I was using and a high-definition recording, but also to the level of recording sophistication achieved well over half a century ago. 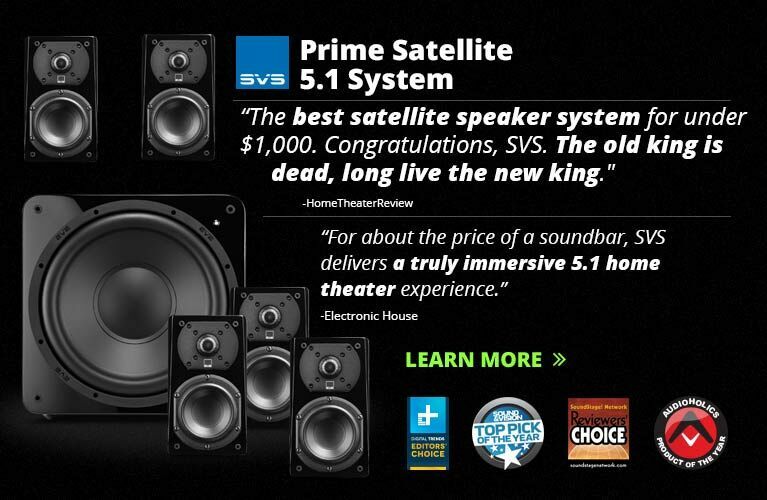 I feel that a pair of speakers as large as the EL8.3t should put out an equally big sound, and they didn’t let me down. George Szell and the Cleveland Orchestra’s performance of Brahms’s Academic Festival Overture (CD, Sony Classical SBK 46330) was indeed big and expansive, and the EL8.3ts produced a soundstage that was deep, wide, and tall. They were also dynamic as all get-out, especially in the final rousing “Gaudeamus igitur.” Good dynamic range was also demonstrated in my 24/96 download of “One Way Out,” from the Allman Brothers Band’s Eat a Peach (24/96 FLAC, Mercury/HDtracks). 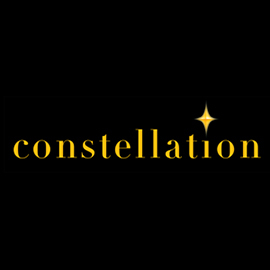 Through the EL8.3ts this track just shimmered with lots of useful detail, especially in the portrayal of drummers Jai Johanny Johanson and Butch Trucks, whose individual styles were easy to follow. Loudspeakers rated down to an honest 40Hz tend not to draw too many complaints for a simple reason: this more than adequately covers the extent of bass sounds of most popular music recorded over the last century. Devotees of the pipe organ, large timpani, electronica, etc., need something more, of course, but if you think of all the wonderful music composed throughout history, such instrumentation is relatively rare. That said, I have little to complain about -- the EL8.3t’s claimed extension to 40Hz reflected what I measured in my listening room, though there was a pretty steady drop-off beginning at about 63Hz. So while through the EL8.3ts I could certainly hear the 32Hz organ-pedal opening of Richard Strauss’s Also sprach Zarathustra, in the recording by Giuseppe Sinopoli and the New York Philharmonic (CD, Deutsche Grammophon 423 576-2), I couldn’t feel it as easily as through the Atlantic Technology AT-1s; or, as expected, through a well-integrated subwoofer, as was my experience with the MartinLogan Dynamo 700. The Elemental Designs EL8.3t impresses both visually and sonically, should earn additional points by some for having the temerity to be made here in the good ol’ US of A, is constructed with environmentally friendly materials, and is large enough that even non-audiophile friends won’t doubt that a pair is worth its eminently reasonable price of $2200. 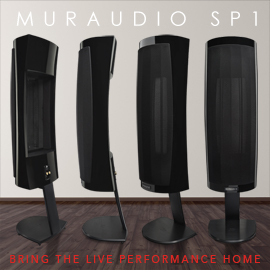 While these speakers may be a challenge to physically integrate into a smaller listening room, sonically I thought they blended in just fine. Pride of ownership comes to mind when I think of a product like the EL8.3t. It’s big, honest, and “old-school” in the best possible sense. If any of that is important to you, I recommend that you put a pair on your short list of loudspeakers to audition. Price: $2200 USD per pair. Warranty: Five years parts and labor (transferable).